With the US Federal Reserve seemingly set on raising interest rates, it is time to take stock of what low rates have done for the world. In addition, what the prospects are when this era of low interest rates ends. The reasons are straightforward. Interest rates reflect the cost of borrowing so low rates make it cheaper to borrow to invest. This investment should increase growth, create jobs and ease the economy out of recession. Here is what seven years of rock bottom interest rates have done in reality. So low interest rates should have been great for investment. This has not exactly been the case, however. Investment as a share of GDP fell after the financial crash in the US, UK and Eurozone, but has taken a long time to recover, and has not yet regained pre-crash levels. This is because the fall in real wages after the financial crash means labour has been relatively cheap, decreasing the incentive for firms to undertake capital investment. In addition, there are ongoing concerns about weak demand in the UK, the Eurozone and the wider global economy, which also inhibit investment despite low interest rates. Fears of this weak demand may explain why rate rises in the relatively open economies of the UK and the Eurozone have been delayed compared to the US, which has experienced buoyant domestic demand in recent months. Capital flows between nations are affected by differences in their interest rates. As interest rates fell after the financial crisis, it freed up huge amounts of capital, which was then invested in countries where returns were more favourable. These capital outflows worsen the balance of payments deficit. In turn, this leads to depreciation of exchange rates making imports relatively more expensive and thus improving the trade balance. As rates rise, we therefore expect to see exchange rate appreciation – a “strengthening” of the dollar is expected to follow on the back of the Fed’s rate rise – and a deteriorating trade account. Great news for cheap holidays in far flung lands, but bad news for exporting firms, and financial distress for emerging economies with dollar denominated debt. A further sting in the tail is the potential effect on the housing market. British homeowners in particular have enjoyed many years of cheap variable-rate mortgages and perhaps have not realised how even very small rises in interest rates can have quite dramatic effects on monthly repayments. This could have dire consequences for people’s ability to afford their mortgage repayments if rates rise. Some would say that such rises would help correct an overheated housing market. However, while this may be true in some regions (such as the UK’s southeast), it is not true everywhere. Interest rate rises may therefore increase regional inequality. Therefore, we have seen that low interest rates have “good” effects in promoting investment and increasing household consumption, though there may be a cold turkey effect when cheap borrowing ends. Low interest rates and low inflation have reduced the reward for saving to pitiful levels. 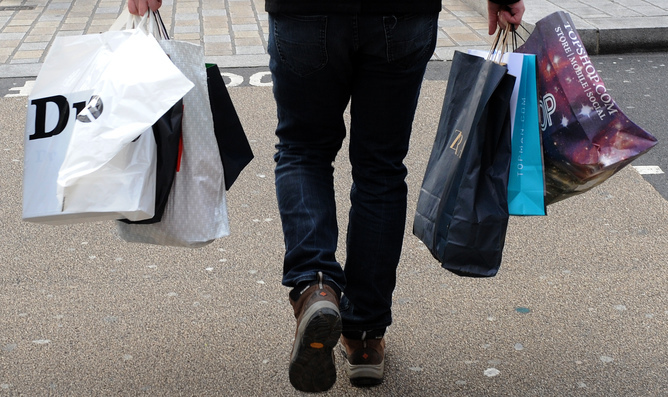 Households have effectively been encouraged not to save, but to spend. This means many do not have contingency plans for a “rainy day”. In addition, more importantly many people have woefully inadequate pension provision for their old age. Low interest rates also feed through to annuity rates, which convert pension pots on retirement into a stream of income throughout retirement years. Annuity rates have collapsed, and so pensions are not as generous as people had anticipated. In turn, this discourages people from making pension contributions, which is exactly what is not needed as the population lives longer.